Today, Nestlé announced that it has bought a 68 percent stake in third-wave café and roaster Blue Bottle. The purchase, reported by the Financial Times to be $500 million, values the company in excess of $700 million. 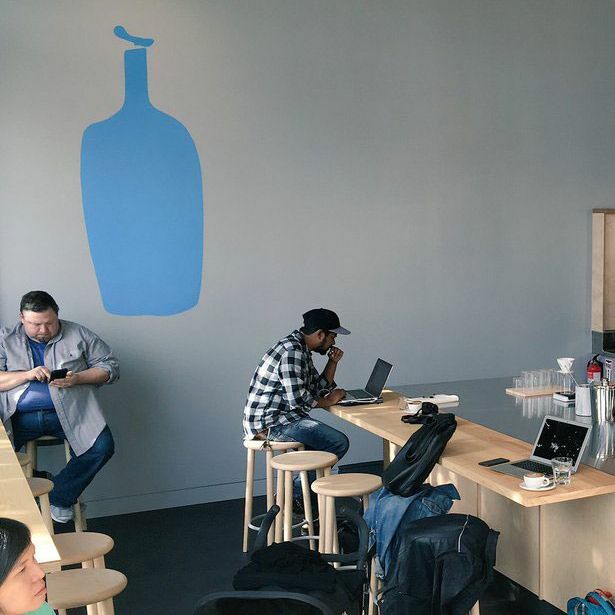 Blue Bottle has followed fellow gourmet-coffee makers Stumptown and Intelligentsia, which are owned by JAB Holding Company, and La Colombe, in which Chobani’s founder is a major investor, respectively. It’s a surprising development for the independent company. Founder James Freeman has stressed slow growth, and cares so much about quality that he stopped selling Blue Bottle coffee beans wholesale to other businesses. Nestlé, on the other hand, is an international food conglomerate and this country’s top seller of instant coffee. Blue Bottle will operate independently within Nestlé, and CEO Bryan Meehan, who will remain with the company along with Freeman, tells the Financial Times “the control is very much with Blue Bottle.” But Nestlé can buy the remaining shares if Blue Bottle meets certain performance criteria.